Tariffs on pork and soybeans reverberate through the Heartland. President Donald Trump has successfully launched a trade war with China, making good on xenophobic fulminations that stretch back well before his 2016 presidential campaign. And he’s also renewed his crusade against another trading partner, Mexico, raising the specter of a two-front trade war. Among the very first US casualties will be meat conglomerates and large-scale farmers rooted in the US heartland—both of which served as bastions of support for the mercurial candidate during the election. On Wednesday, in response to Trump’s tariffs on aluminum and steel, the Chinese government announced plans to slap a 25 percent duty on US soybeans, days after doing the same with pork. 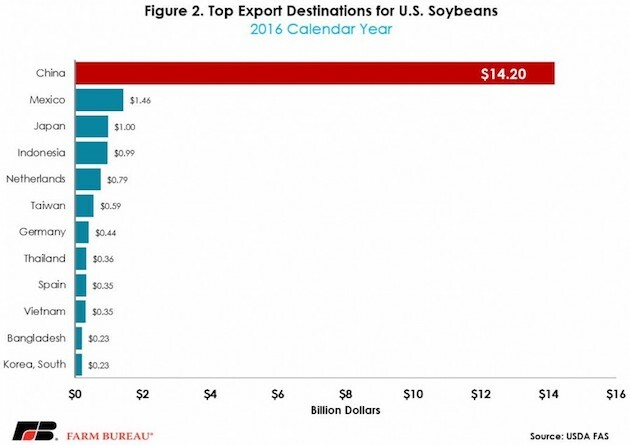 For both of those commodities, US farmers churn out far more than can be used by the domestic market—about half our soybeans and a quarter of our pork supply are exported. And guess who they rely on to buy up the surplus? 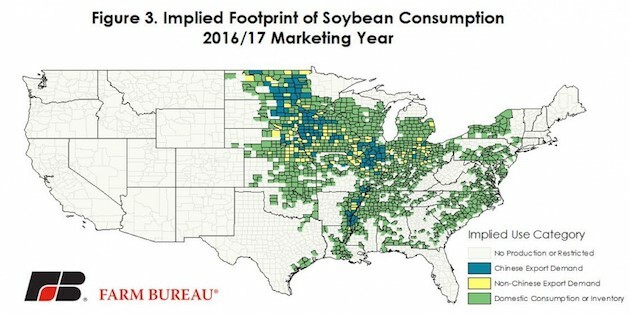 Meanwhile, US soybean farmers are sitting on a record surplus of unsold beans from last year’s bumper harvest, and preparing to plant 89 million acres of the crop this year, just 1 percent less than last year’s largest-ever planting. After China’s tariff announcement, soybean prices dropped in Wednesday trading. And US farm-equipment giant John Deere saw its share price plunge nearly 3 percent as investors fretted that US farmers will be “slower to replace or upgrade old Deere equipment” if Chinese demand for their crops drops, Investors Business Daily reported. The situation with pork and the China-Hong Kong market isn’t quite so stark—but note that the No. 1 destination for the “other white meat” grown by US farmers is Trump’s other bete noire, Mexico. 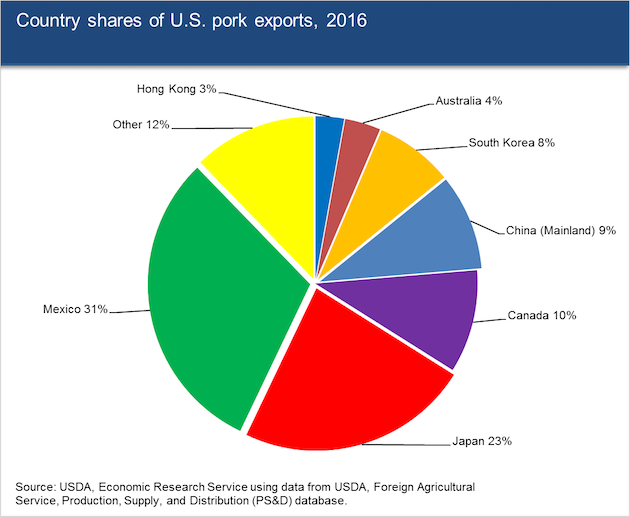 These trade hostilities come at a time when the US pork industry is ramping up capacity—not to satisfy domestic demand, which is flat, but rather in hopes of an export boom. As an analyst at the farm-credit company CoBank put it last year, “access to foreign markets will be critical to preventing a domestic supply glut as well as deterioration in [profit] margins for both producers and processors.” (The prize, of course, is China, whose population consumes more than half of the world’s pork.) Translation: If foreign markets don’t grow briskly, US hog farmers and pork packers are screwed. Not surprisingly, hog prices plunged 5 percent Wednesday. As the Washington Post‘s Phil Bump notes, that’s in large part a sketch of areas on the eastern side of the US map that Trump won in 2016. Indeed, Bump calculates that Trump beat Hillary Clinton by 12.3 percentage points in soybean-heavy counties in that election. Bloomberg’s Joshua Green adds that a Trump-triggered soybean slump could help bail out “vulnerable Democratic Senate incumbents” in Indiana, Missouri, and North Dakota,” and also boost Illinois’s leading Democratic gubernatorial candidate, J.B. Pritzker, who’s locked in a battle with GOP incumbent Bruce Rauner. Trump’s trade war could also loosen the GOP’s grip on Iowa. The state leads the nation in hog and soybean production, and it’s also home to significant ag-based manufacturing and seed development. Its voters supported Trump over Clinton by nearly 10 percentage points; its governor, both senators, and three of its four US representatives are all Republican. “We are extremely worried the proposed tariffs will have a negative impact on our agricultural economy,” said the Iowa congressional delegation in a letter to Trump. Two of Iowa’s GOP House reps—Rod Blum and David Young—are enmeshed in tight races this fall, according to The Cook Political Report. And according to the Des Moines Register, Iowa Gov. Kim Reynolds’ grip on her office was “vulnerable” to Democratic challenge this fall even before Trump began antagonizing China, the state’s biggest foreign agriculture buyer, last month.